LinguaVox is a well-established and reputable multilingual patent translation agency with over 13 years’ experience in the professional patent translation services market in the UK, France, Germany, Italy, Sweden, Japan, Canada, the USA, and other countries. The word “patent” derives from the Latin verb for “to make something publicly available for inspection”. A system to patent inventions has been in place since the times of the Greek empire, where patents were granted for the space of one year. In our modern society, a patent is a way to guarantee the right to intellectual property, while at the same time allowing the public to benefit from new inventions. The requirements of patentability (under which a patent can be granted and enforced) vary from country to country, although large international organisations have been working towards a standardisation of the relevant procedures. One of these organisations is the World Trade Organisation, which promoted the creation of an international treaty that governs several aspects related to the granting of patents at global scale. Regardless of their national laws on intellectual property, World Trade Organisation’s member states must abide by the set of regulations stipulated in the agreement on trade-related aspects of intellectual property (TRIP). There are numerous international patent organisations, which often encompass regional or continental confederations of countries, and that mandate the specific requirements that apply to the granting and enforcement of patent law in the countries involved. Some examples include a) the United Nations’ agency World Intellectual Property Organisation (WIPO), which stipulates general patent regulations for more than 180 countries, b) the European Patent Organisation (EPO), which now has 38 member states throughout Europe and the Mediterranean, and c) the Eurasian Patent Organisation (EAPO), which has jurisdiction over the patents of nine CIS member states. In the United Kingdom, patents are managed by the Intellectual Property Office (IPO). It must be noted that patents are highly territorial. This means that a patent granted by the British Intellectual Property Office only offers the right to protection within British territory. Those considering extending intellectual property rights to other countries must consider requesting permission to the IPO and applying to the relevant national patent offices. Here is where patent translators come into play. Patent translations must transmit with total accuracy the details of the source text (original patent). Failing to provide factual translations could have serious legal implications, such as an invention not being fully protected, and could even result in a lawsuit over conflicting intellectual property rights. At LinguaVox we share your concerns about confidentiality, accuracy, and quality control. In terms of quality control, we offer all our clients a triple quality translation guarantee, since we are one of the few translation agencies certified to both ISO 9001 and ISO 17100 (previously UNE EN-15038) standards, in addition to having a rigorous in-house quality control procedure. To guarantee confidentiality and accuracy, we only work with specialist patent translators, who all have a minimum of two years’ experience in the patent translation field, in addition to a university degree and / or a recognised Translation certification. To provide the highest standards of service and quality, we also require that our patent translators only translate into their native language, and that they possess thorough specialist knowledge on the subject matter in question. Our patent translation service is available in more than 150 languages, and in the most diverse fields and specialisations. 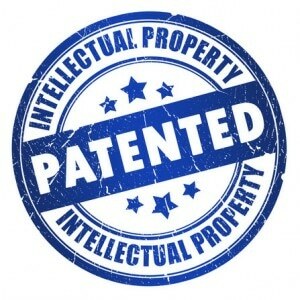 Do not hesitate to contact us if you wish to translate a patent into English (USA, UK, Australia, New Zealand, Canada), Spanish (Spain, Latin American Spanish), French (France, French-speaking African countries, Canadian French), German, Italian, Portuguese (Portugal) and Brazilian Portuguese, Arabic, Basque, Bengali, Bulgarian, Burmese, Catalan, Chinese (Simplified and Traditional), Czech, Danish, Dutch, Afrikaans, Estonian, Finnish, Greek, Hebrew, Hindi, Urdu, Hungarian, Indonesian, Irish, Italian, Japanese, Javanese, Kannada, Korean, Latvian, Lithuanian, Malay, Malayalam, Marathi, Norwegian, Oriya, Pashto, Persian (Farsi, Dari), Polish, Punjabi, Romanian, Russian, Serbian, Croatian, Slovak, Slovene, Swedish, Filipino, Tagalog, Tamil, Telugu, Thai, Turkish, Ukrainian, Vietnamese, Welsh, Xhosa, etc.